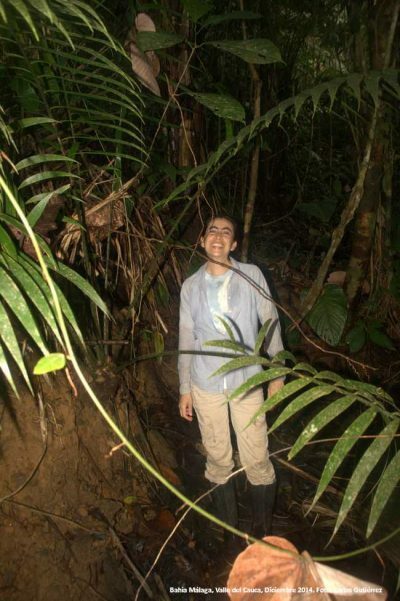 In 2009, Colombian biologist Professor Cristina López-Gallego and two fellow botanists won a Conservation Leadership Programme (CLP) team award to assess the status of – and put together an action plan for – a threatened cycad plant, Zamia encephalartoides, found only in the arid Chicamocha Canyon. We invited her to reflect on her conservation journey before and since that seminal moment in her career. 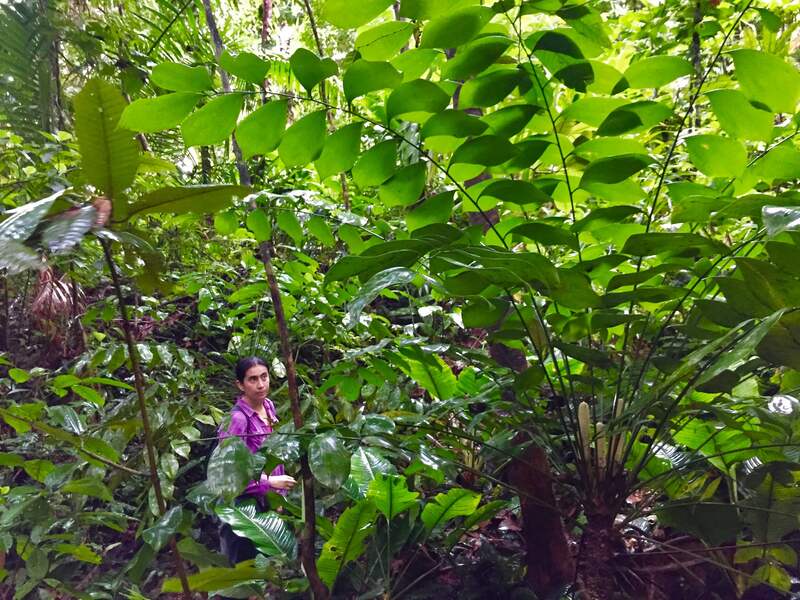 When I was studying Biology as an undergraduate, I became interested in ecology and plants, and as I learnt more about them and began to do fieldwork in Colombia, I became aware of the conservation issues around plant species and forest ecosystems. For my career, I decided that I wanted to carry out research that could be useful for conservation, and I did my doctoral studies in conservation biology. Later in my career I also realised that I wanted to go beyond research in conservation biology and that I wanted to try to contribute to conservation practice as well. During my undergraduate and graduate studies I had several professors who inspired me because they did research that seemed extremely interesting from an academic point of view and also useful for conservation purposes. I also met people in NGOs and other institutions more committed to conservation action, and I wanted to collaborate with them to support these actions. I admire people that seem very dedicated and committed to biodiversity conservation, because of their love for nature and their love for people too. Please briefly describe your career path to date. I got a bachelor degree in Biology in Colombia (1999) and a PhD in Conservation Biology in the USA (2007). Both my theses were focused on conservation biology of cycads, a group of highly threatened plants. 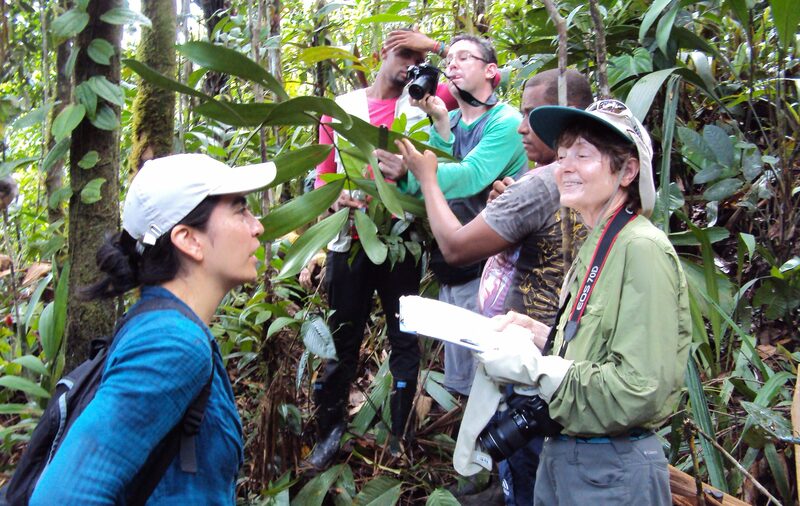 I was fortunate to get a job as a professor in 2009 at my alma mater in Colombia, where I teach ecology and conservation biology courses and perform research on conservation biology. During the last five years I have become more active in conservation work related to Red listing and formulating and implementing conservation action plans for plant species, for example as part of IUCN-SSC Specialist groups (Cycad SG and Colombian Plants SG). I have also established an active collaboration with the National Biodiversity Institute of Colombia (Humboldt Institute) to contribute to the implementation of the national strategy for plant conservation, and particularly to implement a national conservation action plan for cycads as an umbrella group for plant conservation. We work with institutions like botanical gardens, protected areas and environmental authorities, among others, in an interested network of stakeholders devoted to plant conservation. Finally, I have also been involved in capacity building for conservation, through field courses and other training activities for diverse stakeholders (like park rangers, non-biology students, among others) as part of programmes by institutions like the Organization for Tropical Studies. How did winning a CLP award help to further your career? Our CLP award was one of the first projects in which I was involved that focused more on conservation practice than on basic research. I really enjoyed the combination of research and conservation practice, and that encouraged me to keep mixing my research with more applied approaches. Furthermore, the CLP platform with opportunities for training, attending meetings and exchanging experiences with other people like me working in conservation was very important for me to broaden my horizons in conservation. Being part of a network of people with such amazing conservation projects all over the world is very inspirational for me and important to help me keep committed! My conservation work focuses on plant species, which are often ignored in conservation because animals tend to be more charismatic. Knowing that our work with the national strategy for plant conservation and the conservation action plan for cycads of Colombia has helped bring more attention to plant conservation is very satisfying. Designing a national conservation action plan for the cycads of Colombia and having its implementation as a model for the conservation of other strategically important groups has been very interesting, and I feel we are making an important contribution to the conservation (protection, restoration, sustainable use) of many plant species, their habitats and all the organisms associated with them. I believe that being very well informed and conscious of our socio-environmental contexts, and being open-minded about working with diverse stakeholders to jointly build innovative solutions, is key for addressing many of our conservation issues. Many conservationists like me are still pretty rooted in academia or in traditional big NGO approaches and I think we need to be more creative in our very complex and interesting territories. What advice do you have for the next generation of conservationists in South America? I would say that if you want to make a good contribution to conservation you need to get a solid training in biological and/or social knowledge first, and then you can try to find an important and appropriate work niche in which you think you can make a difference, which does not need to be one of the traditional roles that we are used to. We definitely need a lot more people thinking about how to save our biodiversity and contributing with new ways of approaching socio-environmental issues in biologically and culturally diverse countries like ours!